Southern Mom Loves: Keep Them Learning All Summer: Fun + Educational Activities for Kids! Keep Them Learning All Summer: Fun + Educational Activities for Kids! The first few weeks of Summer vacation is always a blast, it's just the remainder you have to plan for or it can quickly devolve into a daily TV- and electronics-fest. I've been there, I feel your pain. 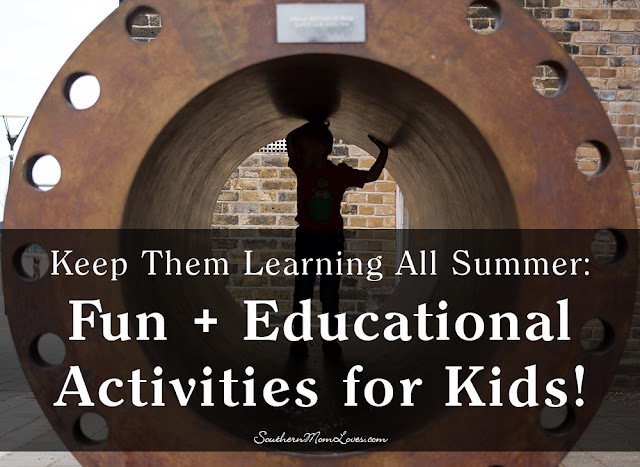 The good news is that I have some great ideas for fun, educational activities for kids that will keep them entertained over the summer while keeping them learning too. A yard sale is a wonderful educational activity for kids. There's so much that can be learned. Not only will it teach organization and planning skills, but it will also teach math. It doesn't have to be a large yard sale either, and if you want to take things one step further, use this activity as a way to teach children about earning money for something they want. It could be the beach, the forest, or even a walk around the park. On the trip, have your kids take pictures of interesting things they see along the way. When you get home, upload the pictures and research everything they found. It's a great way to learn about the area, plants, rocks, and much more. Another educational activity is to have your kids create a book. They could work on the story throughout the summer and you could edit it while they work on the cover art. Once the book is finished, you could even upload it to Amazon so that your kids could make money off their project. Experiments are a great way to keep kids busy. It might be creating rock candy (a favorite with kids), seeing how light affects plants, how mixing baking soda and vinegar together creates a reaction, or a number of other easy experiments. Have fun with it. After each experiment ask questions about it and why they think the reactions occurred. Your local library can be a great resource to keep them entertained and learning. Even if they're not big readers, the library should have some fun programs planned for the summer months, like scavenger hunts, story times, or reading programs with prizes. Last, but not least, visit a local children's museum. Science museums are a wonderful option because they offer so many interactive exhibits. The more hands-on the museum is, the better. You want your child to enjoy the experience and not feel like they're being forced to learn something. Summer doesn't have to be all TV and video games. There are lots of fun activities that will keep your kids active and learning too! Do your kids like to veg out? 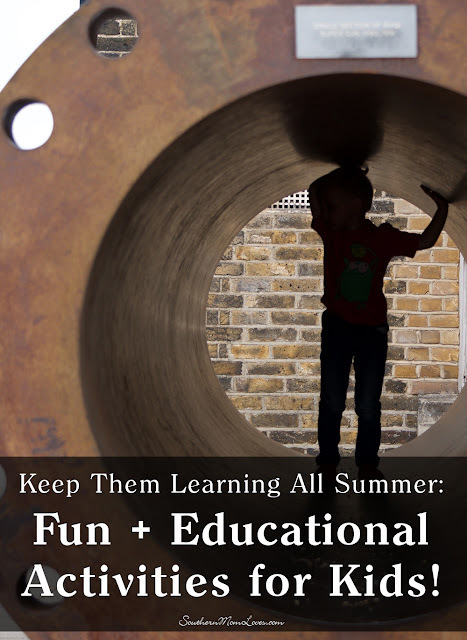 Do you struggle to keep your kids' minds active during the summer? What are your favorite activities? I love to read your comments!